Generation Z, that cohort born between the mid-1990s and mid-2000s (though a future cottage industry of clickbaity think pieces will no doubt debate the exact cutoff dates), has grown up never knowing a world without the Internet. Living their whole lives online has made them true digital natives, connecting to boundless content and other people around the world in a way that feels as natural as breathing. This connection has shaped what their average day looks like. Thanks to a lifetime of instant gratification and immediate communication, you can’t blame Generation Z for having short attention spans. 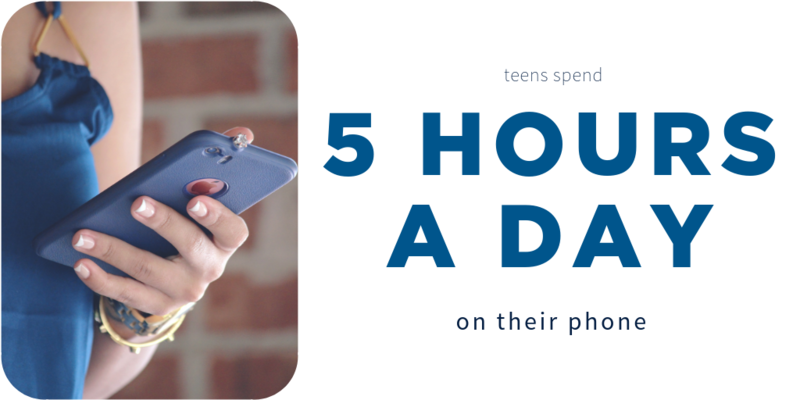 One recent study shows teens spend a median time of five hours a day on their phone, with the top 25% spending around seven hours. Before anyone starts shaking their head at “kids today,” it’s important to provide a little perspective: the average American adult spends about five hours a day watching television. It’s not so much that Generation Z is wildly different in the amount of time they spend on media and entertainment, it’s that they spend their time on different platforms. From first getting up in the morning (eyes open, time to check your phone! ), throughout their school day, their downtime, and into the night, Generation Z is constantly connected to their friends and the world around them. Consider how much a smartphone is an extension of their lives: a quarter of Gen Zs checks their phones 30 times an hour, and nearly 75% check at least 10 times. Social feeds and media channels are the new “traditional media” that they take for granted. Being always connected facilitates their day-to-day activities. Listening to streaming music and texting tend to be the most common smartphone uses, though playing games and watching videos aren’t far behind. If there’s any doubt about how important digital connection is to Generation Z, consider this: 40% of Gen Zs place a higher value on working Wi-Fi than working bathrooms. Robust digital infrastructure is also very important to them; when you consider 74% of Gen Z prefers the personal touch and nuance of face-to-face communication in the workplace, there's an expectation that requisite technology and capacity will be in place to facilitate optimized live video interactions via Skype or FaceTime any time, any place. Reflecting this high value on visual content, the average day sees members of Gen Z using their smartphones to share images and short videos via platforms like Instagram and Snapchat. And it’s important to emphasize: the content is short. 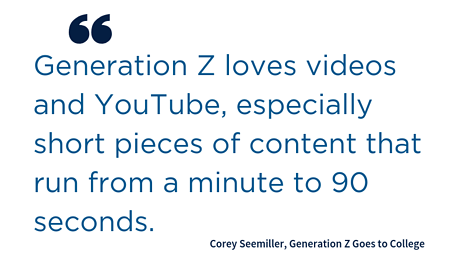 “Generation Z loves videos and YouTube, especially short pieces of content that run from a minute to 90 seconds,” says Corey Seemiller, co-writer (with Meghan Grace) of Generation Z Goes to College. While bite-sized visual content reigns supreme, some of the other activities Gen Z engages in throughout the day include playing games, streaming music, watching movies/TV, and listening to audiobooks. But the share-ability of short videos counts for a lot in their social media interactions. The typical day of a Gen Z reveals some key insights for marketers. With short attention spans and a desire for short visual content, the “average” member of Generation Z expects messaging to be both easily digestible and personalized to their tastes. It only takes them a few seconds to decide whether to move on to the next piece of content, so it’s more important than ever to pack an interesting wallop right off the bat. Marketers must invest in the quality of their content so this audience can immediately engage with their message. Their low attention threshold for skipping to the next video also means Gen Z isn’t very tolerant of having their content interrupted or hijacked by overt brand messages. What they want is something funny or interesting worth sharing with friends. This is why it’s essential for brands to create original, relevant content when marketing to Gen Z. Besides the content itself, programmatic advertising can also be invaluable in this attempt to reach the Generation Z audience. By using software and algorithms to target this constantly connected audience with digital ads, marketers can accomplish a good chunk of the legwork of connecting with Gen Zs who won’t click the “Skip Ad” button. 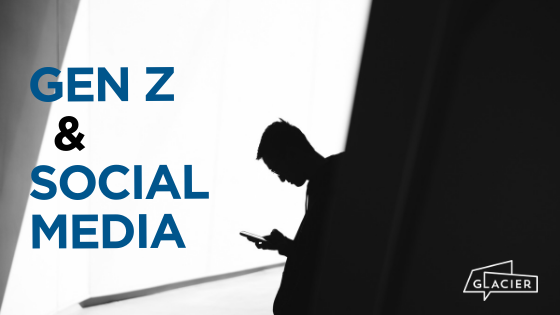 If Generation Z’s social media habits still seem tough to grasp, don’t worry. Every new generation does things a little differently from those that came before. 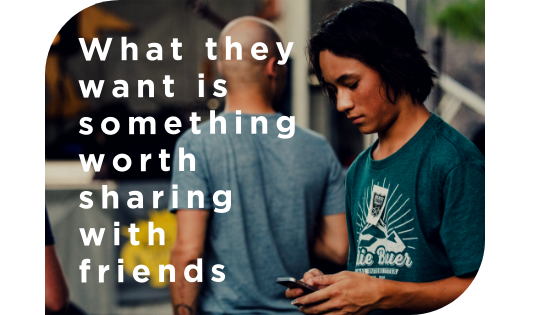 But at heart, Generation Z is driven by many of the same things that every generation values: connection with friends, entertainment, and making the most out of their time. Only they’re using technology as an extension of themselves to do these things, since they haven’t known a time without it. Learning how to relate can be easier than you think. If your brand is interested in connecting with Generation Z audiences, you’ll want to start by making sure you’re where they are online. Contact Glacier today to learn more about how your brand can benefit from our programmatic advertising platform.